From Yellowstone to the Great Smoky Mountains, America's national parks are sprawling tracts of serenity, most of them carved out of public land for recreation and preservation around the turn of the last century. America has changed dramatically since then, and so has its conceptions of what parkland ought to be. In this book, one of our premier environmental historians looks at the new phenomenon of urban parks, focusing on San Francisco's Golden Gate National Recreation Area as a prototype for the twenty-first century. Cobbled together from public and private lands in a politically charged arena, the GGNRA represents a new direction for parks as it highlights the long-standing tension within the National Park Service between preservation and recreation. Long a center of conservation, the Bay Area was well positioned for such an innovative concept. Writing with insight and wit, Rothman reveals the many complex challenges that local leaders, politicians, and the NPS faced as they attempted to administer sites in this area. He tells how Representative Phillip Burton guided a comprehensive bill through Congress to establish the park and how he and others expanded the acreage of the GGNRA, redefined its mission to the public, forged an identity for interconnected parks, and struggled against formidable odds to obtain the San Francisco Presidio and convert it into a national park. Engagingly written, The New Urban Park offers a balanced examination of grassroots politics and its effect on municipal, state, and federal policy. While most national parks dominate the economies of their regions, GGNRA was from the start tied to the multifaceted needs of its public and political constituents-including neighborhood, ethnic, and labor interests as well as the usual supporters from the conservation movement. As a national recreation area, GGNRA helped redefine that category in the public mind. By the dawn of the new century, it had already become one of the premier national park areas in terms of visitation. Now as public lands become increasingly scarce, GGNRA may well represent the future of national parks in America. 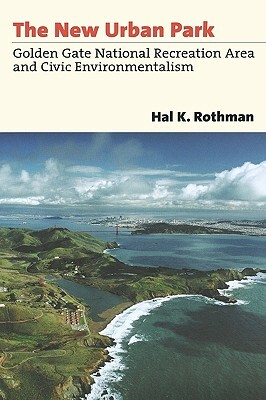 Rothman shows that this model works, and his book will be an invaluable resource for planning tomorrow's parks. Author Name: Rothman, Hal K.